This Lebanese, vegetarian spread based on chickpeas is very popular. Perfect for some toast, blinis or filling baked potatoes, it is relatively easy to prepare. There is pretty much no substitute for making your own. Fresh peeled garlic when crushed with the flat of a knife releases the oil of the garlic and I recommend doing this before adding it to the whizzer. You should never need the water, the lemon juice and chickpea juice should always be enough and you do not want the hummus too runny. But it is included here for the nervous or unsure who feel they need to relax it more and have run out of lemon or cooking juice. Also included are the variations and twists such as lime or mint as it is a dish you can play with if you’re not feeling classical. Another tip is to add kombu seaweed to the chickpea cooking water if you are cooking them yourself as it speeds up the cooking time and adds valuable nutrition to the juice. You can also use mixed seaweed flakes to garnish or add to mix. 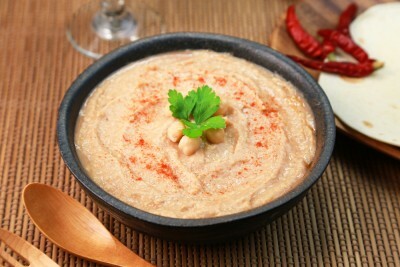 Hummus is wonderful because of its elegance and simplicity in ingredients and procedure and the ultimate sharing dish. 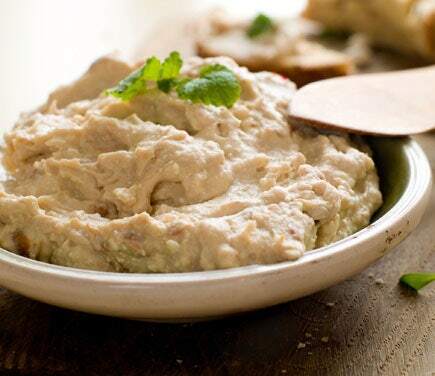 Indispensable in the mezze, hummus is generally present on all Lebanese tables, offered in restaurants and is a culinary preparation of the Near and Middle East to be found throughout the Mediterranean. It is much appreciated by lovers of foreign flavours. And lovers of tapas and sharing food. In a food processor, mix the cooked chickpeas (drain but save the juice, same for canned) tahini, garlic, oil, salt & pepper. Add the lemon juice and chickpeas juice as necessary to form a paste & mix again. Relax hummus with a little water if necessary. Put the hummus in a bowl, sprinkle with cumin and paprika, plenty of cracked black pepper & sprinkle with a drizzle of oil. Lentils Steak	BumbleBee Flower Farm: Wild, organic sustainable beauty.